DUNFERMLINE’S new Gin Festival - to be held over two party nights in the Glen Pavilion on 10th and 11th May – is the latest fund-raising innovation to be launched by the as it prepares to toast its upcoming centennial. 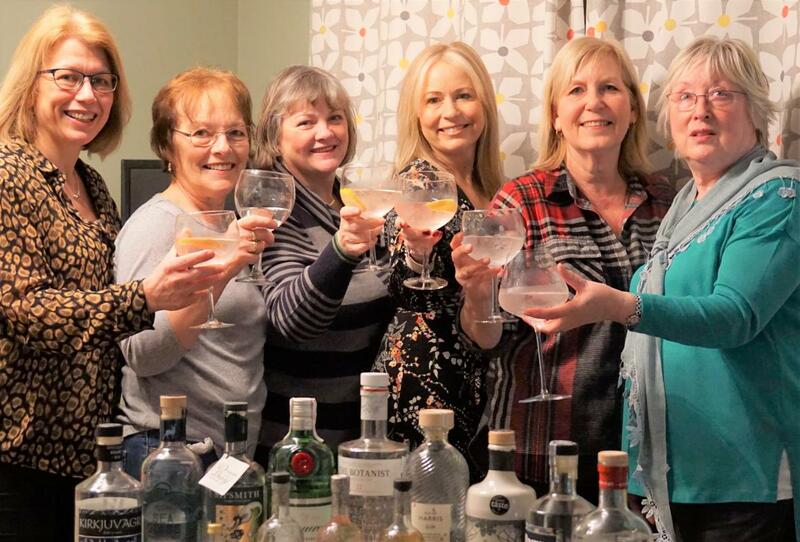 Organisers hope that as well as providing a tonic for the club’s charity trust fund, the GinFest will be a successful social mixer…featuring a heady cocktail of at least 40 gins, mainly from small distillers whose labels are not available generally in pubs and supermarkets, together with beer, wine, prosecco and live music from Cut the Cake and The Copycats. The £15 GinFest ticket buys entry to the event, a gin glass to keep, a first drink and a programme with full details of all the available gins. Dunfermline-based Thomas Cooper Accountants have pledged their support as glass sponsors. Retired Royal Navy captain , who will be succeeded as president by in June, explained, “We are already well into preparations for our centenary in 2022. We have secured the presidential succession to beyond our centennial, and continue to build up a five-figure sum for charitable giving to mark our milestone anniversary and create an appropriate legacy. “However, the club is not content to rest on its historic laurels. The inaugural GinFest is only the latest in a series of innovative fund-raising initiatives we have introduced to fulfil and refresh our Rotary mission as we prepare for the challenges of our second century. “At Christmas, we launched the highly successful Santa Dash when scores of Santas dashed down ’s High Street as a novel curtain-raiser to the switch-on of the city’s Christmas lights and on 23rd April we are staging a new charity golf invitational scramble, to be played annually at Dunfermline Golf Club’s Pitfirrane course. * Tickets are now available, for personal uplift, from Malcolm, Jack & Matheson offices in Port. or Click here to buy Tickets.